Bombing of Kunduz Hospital: Will the U.N. Nations Call for Legal Action against the U.S. for War Crimes in Afghanistan? “A US-Afghan raid against the Taliban, involving NATO airstrikes, left 26 civilians, three Afghan troops and two US service members dead, officials say. There is a storm of indignation all around the world because of US’ airstrike on Kunduz hospital in the northern part of Afghanistan within the latest three days. From the very beginning it was clear that it was the US who had stricken a blow. It was also confirmed by various international humanitarian organizations. The UN reacted immediately and declared to hold an investigation on mass casualties among civilians. According to the United Nations, at least 32 were killed and 19 were wounded in the tragedy. Addressing the audience, the Head of the United Nations Assistance Mission in AfghanistanTadamichi Yamamoto said such civilian casualties are unacceptable and undermine efforts on strengthening peace and stability in the region. The Clarification of the incident’s circumstances is still going on. But the American command has already admittedtheir air strikes resulted in civilian casualties. It is really requires investigation. In this way the US President Barack Obama expressed condolences over civilians’ deaths speaking with Afghan President Ashraf Ghani as if that’ll help! It should be mentioned that the US senior officials recently did not hesitate but admitted their mistakes and shortcomings. Such autocriticism becomes clear considering some facts. First the US is acting on the basis of the aims and the experience of their own errors. State Department’s analytics have analyzed numerous instances of civilian infrastructure’s destruction and the losses of civilian lives, exposing a deep assessment of the international community’s reaction to these incidents. They came to the simple conclusion that in a few days such events are practically forgotten in the background of many others and the United States realize their bloody ambitions in the end. Only this year Western coalition’s Air Force stroke dozens of blows on civilian facilities, which were happily forgotten. Let us remember some of the mistakes like the blows at the Doctors without borders’ hospital near the town of Maarrat al-Nu’man in Syria killing at least 7 and wounding 10 people on February 15. Similarly coalition’s planes attacked the city of Manbij on July 18 and 30, causing the losses of lives of more than 110 civilians, including 30 children. In addition, on July 28 it has destroyed the market in the village of Al-Ghandur in Aleppo province. There were 28 civilians killed there including seven children. The US Air Force’s blow on September 17 at the city of Deir ez-Zor was also a mistake. However there were not any terrorists killed, but the Syrian army. It should be recalled that about 60 military were killed and over 100 wounded in the attack. No one had been brought to justice as a result of the investigation so far. Second the Americans usually investigate incidents having a finger in the pie. Controlled by the US media provide active support defining a favorable background information. There is an interesting article on the problems with the information in the western media written by Glenn Greenwald from Intercept. He claims CNN and The New York Times support the interests of their owners and are often used to manipulate the public opinion and promote propaganda or questionable political projects. In addition, the major Western media are too corrupted. This is the very scheme used in the case of the last air strike of the hospital in Kunduz. According to White House Press Secretary Josh Ernest, Barack Obama has already contacted with the Doctors without Borders’ current international president Dr. Joanne Liu, and assured her the investigation of the incident would be ‘comprehensive and objective’. This confirms once again that the United States use all the administrative, military, political, financial and information resources available to promote their own interests. 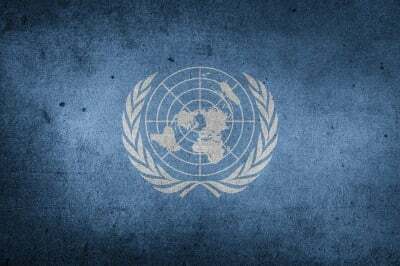 The Americans have developed an algorithm of actions, which they try to impose on the UN leadership for misrepresentation. Let us hope that the United Nations won’t be led by the nose by the United States this time and not allow suppressing the facts. The investigation must be followed to its logical end and those responsible must be held accountable to the fullest extent of international law.